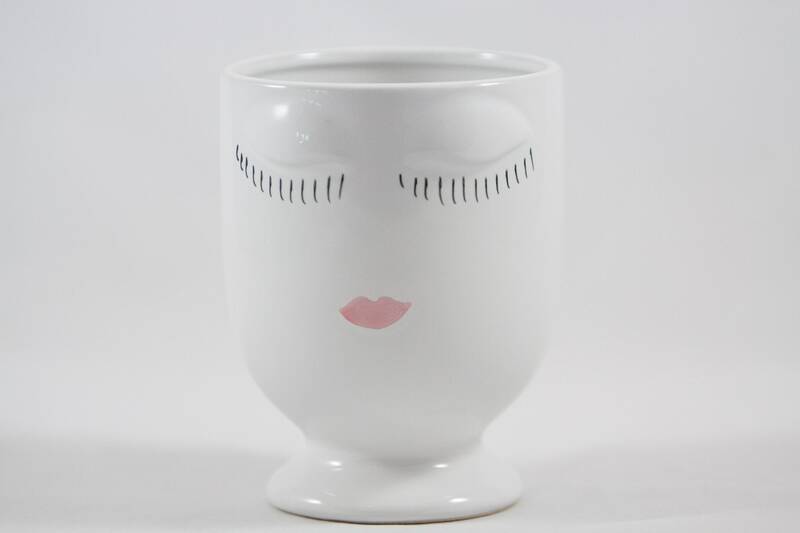 Small, cute Celfie Pot in vanilla color featuring a cute face on this ceramic container. A fun way to display plants, fresh flowers or faux greenery in your home decor. Well packaged, came very fast, looks just like the picture! Thank you.